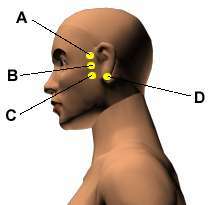 There are the acupressure points for relieving Earaches . Working on these points can help you get better quicker. You do not have to use all of these points. Using just one or two of them whenever you have a free hand can be effective. Location: In the indentation behind the earlobe. Benefits: Relieves ear pain, facial spasms, jaw pain, itchy ears, swollen throat, mumps, and toothaches. This last point is especially good for wisdom tooth pam. Caution: This point is forbidden to be strongly stimulated after the third month of pregnancy. 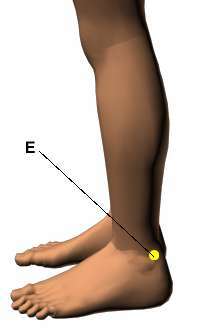 Location: Midway between the inside of your anklebone and the Achilles tendon in the back of your ankle. Benefits: Relieves earaches and ringing in the ears.